Whenever a new coaching staff comes to town, there is new terminology to learn. Every staff has its "Peso" or "rover." One new position for Nebraska fans to get acquainted with is the “Duck-R” position on offense. When trying to picture it, think about a do-everything running back/wide receiver. To get more specific, last year’s UCF team had Otis Anderson (5-11, 164) in that role. Anderson, a true freshman had 69 rushing attempts for 494 yards and four touchdowns to go along with 30 receptions for 351 yards and three touchdowns last season. During Thursday’s post practice availability, running back coach Ryan Held mentioned unprompted that “we will see what he can do in the mix with that Duck-R spot, too," when referring to incoming freshman Miles Jones‍. That’s such a good position in this offense if you can find the right guys to do it. One time they are in the backfield, one time at receiver, one time its empty and we motion the back in. With Jones on the way this summer, who is working at that position now three practices into spring ball? 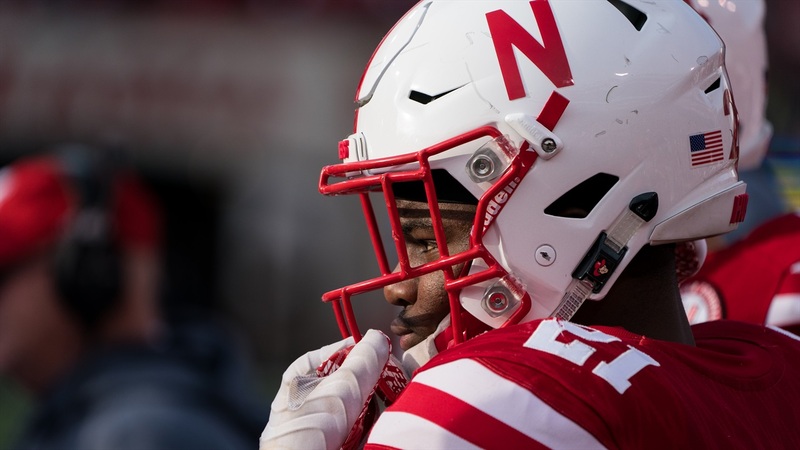 Coming off wide receiver JD Spielman’s comments on Tuesday about there being some special packages in which he has lined up in the backfield during practice, it made sense to wonder if Spielman could also fill in that role. The Duck-R position is quite important to this offense and can be a real wildcard to keep defenses off balance. Nebraska will always look to have Otis Anderson-type players on the roster, and that has been a feature of the Scott Frost offense going back to Oregon when players like De’Anthony Thomas (5-9, 176) had the role. Thomas’ best season at Oregon was his sophomore season when he had 92 rushes for 701 yards and 11 touchdowns along with 45 catches for 445 yards and five touchdowns. Nebraska will always play a variety of running backs because as Held said, “We will play fast and we want guys to be fresh.” However, quickly finding someone to fill this vital role could be a way to get the offense ahead of schedule in the fall.